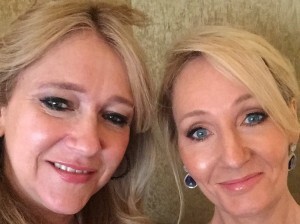 J.K. Rowling Visits ‘Cursed Child’ Theatre Ahead of Broadway Premiere & Sonia Friedman Makes TIME 100! UPDATED: See video of J.K. Rowling’s surprise visit to the Broadway Cursed Child cast below! 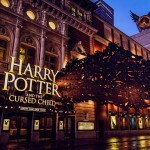 Magic is in the air in as the award-winning Harry Potter play sets the stage for its premiere on Broadway this Sunday. Not only is J.K. Rowling in town for the big event, but the show’s creators and actors are being recognised with yet more awards and nominations! Sonia Friedman, the renown mega-producer of Harry Potter and the Cursed Child has been named to Time Magazine’s 100 Most Influential People of 2018. Among the likes of presidents, princes and pioneers, Friedman is recognized as not only one of the most prominent individuals in the world of theater, but as a leading force in the entertainment industry today. Aside from sitting atop the UK’s Stage 100 list in recent years, and receiving three consecutive Producer of the Year prizes from The Stage Awards, Friedman was also appointed Office of the Order of the British Empire (OBE) for services to the British theater last year by the Royal Palace so it’s no surprise that Friedman would be included on this year’s iconic roster. 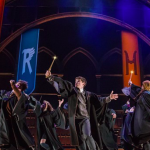 With Sonia Friedman Productions at the helm, Cursed Child has been breaking records on both sides of the pond since its 2016 premiere. The West End production won a record nine Olivier Awards last year and prior to its official opening, the New York play has been deemed the highest one-week, non-musical revenue earner in Broadway history. 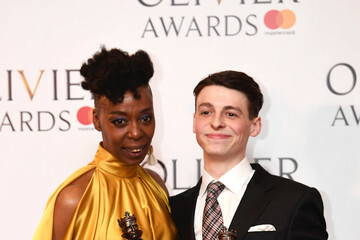 In addition the New York run’s first award nominations were announced earlier this week and Cursed Child has been nominated for the Drama League Award for Outstanding Production of a Broadway Play as well as Distinguished Performance Awards for both Noma Dumezweni who plays the adult Hermione Granger Weasley and Anthony Boyle as Scorpius Malfoy. As a partner in the Ambassador Theatre Group, Friedman even had a hand in transforming the newly renovated Lyric Theatre into the permanent Broadway home for Harry Potter. 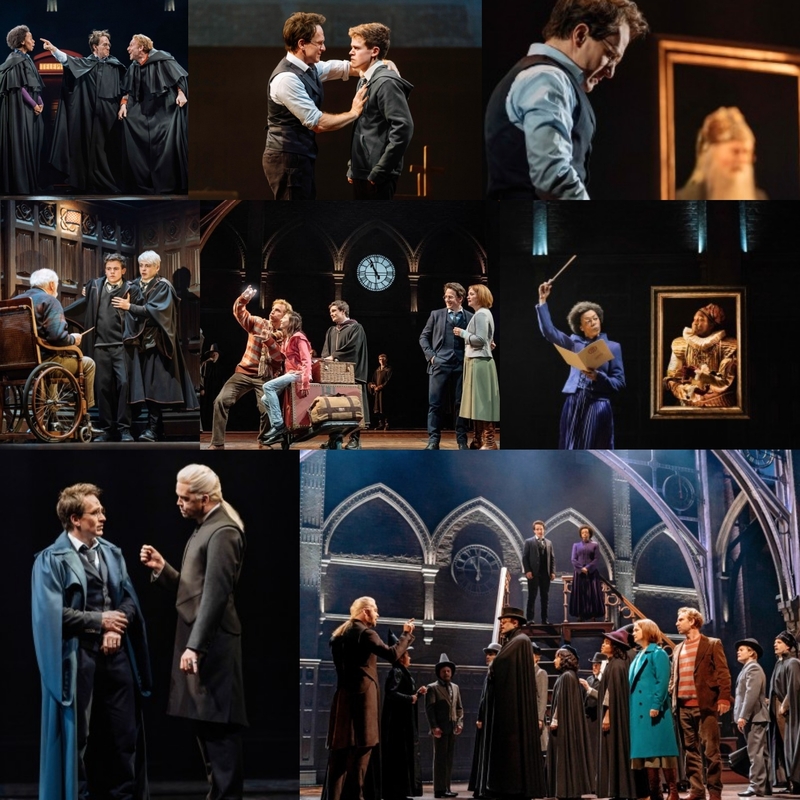 After a month of previews, and brand new first look photos, Friedman’s spellbinding New York production of the eighth installment of Rowling’s story is ready for its red (and gold) carpet premiere. Ahead of the official debut of the show, Playbill recently released a few ‘First Look’ images of the production at its Broadway home, The Lyric Theatre (below). See the gallery in full here. “Sonia Friedman has spent her whole life in the theater. She has managed stages and stood in wings to hand people props. She understands the logistics, the nuts and bolts, of putting on a show. And she knows what audiences want to see, even before they do. Over the past two decades, she has produced blockbuster hits, from an all-male Twelfth Night (starring Mark Rylance as Olivia) to Harry Potter and the Cursed Child, which she has brought from the West End to Broadway. Friedman’s reach casts a spell far beyond the stage magic of Potter. Last year her shows were nominated for 31 Olivier Awards and won 11 followed by 18 nomination in 2018. And Friedman’s productions are definitely not limited to the UK. Currently on Broadway, she’s producing Tina Fey’s Mean Girls, which was also nominated for a Drama League Award, as was Tom Stoppard’s soon-to-open Travesties. Later this year her Olivier Award-winning play The Ferryman transfers to Broadway. Her production of the stage adaptation of George Orwell’s 1984 recently became eligible for a Tony Award nomination after the rules committee reversed a previous decision to exclude the play from competition. In addition to her production of Farinelli and the King starring Mark Rylance, this may pit two of her plays against Cursed Child when Tony nominations are announced May 1. Congratulation to Sonia Friedman and all of the Drama League nominees, and cheers to J.K. Rowling on her apparition to the U.S.! The full 2018 Time 100 list can be found here. Stay tuned to Leaky on all of our channels for live red carpet coverage of the Harry Potter and the Cursed Child Broadway premiere this Sunday, April 22!